What is the best roach killer you can buy? Are you afraid of roaches? Well who isn’t? Roaches are the number one enemy of cleanliness in any household. Everyone is looking for a way to get rid of these roaches as they make people frenzy. There are different types of cockroaches and every one of them needs a special treatment in order to get rid of them. The most tough of them all is the German cockroach and it is very difficult to get rid of them. Before talking about different insecticides to get rid of these cockroaches it is important to know that how these insecticides function and what are the ingredients which make these insecticides effective. One thing that everyone needs to keep in mind is the toxicity of the ingredients which forms these insecticides. These insecticides are highly poisonous, they are very effective in killing roaches but at the same time they may cause serious problems to health if ingested by humans or pets in any form. Fipronil is a very famous insecticide and it is used in Combat Bait stations, it effectively kills the insects but if ingested, it also causes sweating, nausea, vomiting and headaches. There are some insecticides which are developed specially for German roaches, Imidacloprid is one of the famous insecticides which is used to get rid of German roaches who are the most toughest to eliminate. For people suffering from asthma it not recommended to inhale the odor or smell of these insecticides as it may cause breathing problem Imiprothrin and Cypermethrin are some of the insecticides which are observed to cause problems in breathing. Other chemicals may include Bifenthrin and Zeta-Cypermethrin, these are very powerful and can easily get rid of insects. These chemicals attacks the nervous system of the insects and causes paralysis which in turn causes death. All these insecticides are very effective in getting rid of the roaches, it is therefore recommended that whatever type of insecticide you use, apply these insecticides at places where they are away from the reach of children, humans and animals. It is recommended to spray in dark places like behind cabinets, under the sink and places like that where you believe that roaches may hide and these are the best places to target them as they hide in areas where there is low light. It is a very important decision that what type of insecticides should be utilized in order to get rid of roaches. 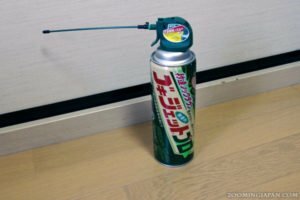 There are some sprays which are used for occasional purposes and some are used for larger infestations, it is therefore important to make the decision wisely. Following are some of the best roach killers you can possibly get in the market and they we have carefully studied each and every one from their ingredients to their performance and we have come up with all the details to share with you people so that you may get all the necessary information and let you people decide that what do you want to buy and in which product do you put your trust in. Number one in the list is the Advion gel because of its effectiveness to eliminate all types of roaches. This gel is trusted world wide by people and it has almost twelve thousand reviews from which ninety percent are five star ratings on the amazon platform alone. On another pest control site it received almost four thousand positive reviews which makes this gel the most viewed and reviewed insecticide. A compound named as Meta Active TM is behind the success of this gel as it eliminates all types of roaches may that be German, American, Australian, Brown, or Asian. This gel is said to have an insect elimination period of 3 days and after that all the infestation is observed to be eradicated. This product is made by the same company and it is also composed of the same ingredient the Indoxacarb, but the working pattern of this insecticide is a little different. In contrast to the gel, this bait station is where the roaches come in and eat the poison, they then carry the poison to all others in their nest. The poison in this case, spreads slowly as it gives time to the roaches to get to their nest. As roaches are very likely to eat other dead roaches, they eat the one containing poison and in this way they all get affected and die. One of the advantage of using this bait station is that it keeps your house members safe from the spray and other health problems. This is number three on the list and it is specially designed for those people who do not want to use chemicals at their home. It is very effective when it comes to killing roaches and make sure that the house gets free of infestation. As its name suggests it uses ultrasonic waves to repel insects and make sure that they never attack the household again. It works on a principle of sending inaudible sound waves to these roaches and drives them crazy. This sound is very irritating to these insects and the only option that they might have is to leave the house which ultimately gets rid of all the insects. The sound waves sent by this repeller is between 20-50 KHz and it can effectively cover the area of almost 200 meter square. These were some of our recommendations for you and your family in order to get rid of these roaches. It is very important to keep the house clean of insects and pests as they damages the house from its foundations. In order to keep them out of the house it is important to make use of such chemicals and repellers because they provide you with best result and solutions in order to make sure that these insects do not enter the house and make your life miserable. We hope that we have made it a lot easier for you to make a wise decision while selecting insecticides.